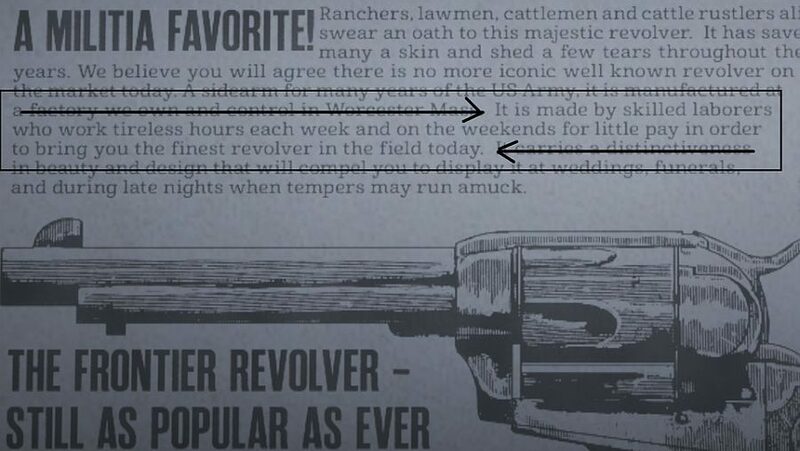 The description of a revolver in Red Dead Redemption 2 contains what looks awfully like a dig at working conditions at the game’s developer, Rockstar. 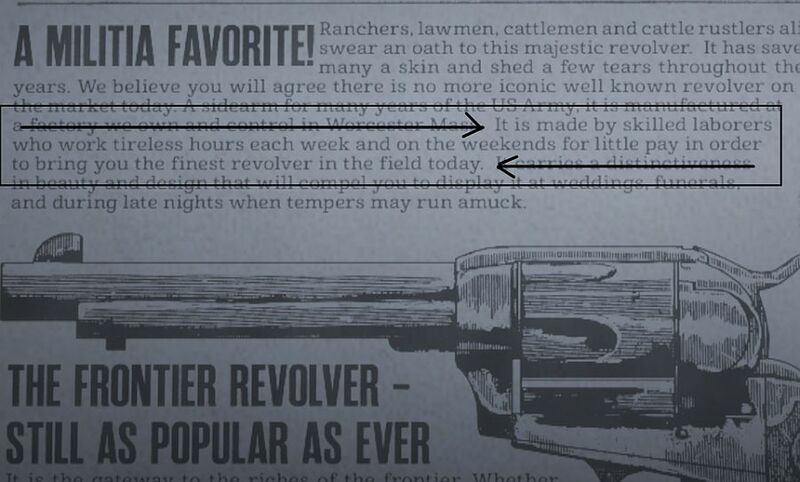 The description reads “it is made by skilled laborers who work tireless hours each week and on the weekends for little pay in order to bring you the finest revolver in the field today.” Red Dead Redemption 2 is dominating gaming news right now, and only partly because it’s apparently brilliant. In the run-up to its release, a number of articles emerged exploring the studio’s working hours after co-founder Dan Houser claimed “we were working 100-hour weeks” in an otherwise complimentary interview with Vulture. Amid the ensuing controversy, Rockstar lifted its employees’ social media gags. Many positive testimonials emerged on Twitter, while investigative pieces by Kotaku and Eurogamer painted a far more mixed picture, especially in QA, as well as a troubling history of crunch in Rockstar’s culture. You shouldn’t discount anyone’s experiences, but it’s worth pointing out that it’s a lot easier to speak publicly about one’s employer when one only has nice things to say. 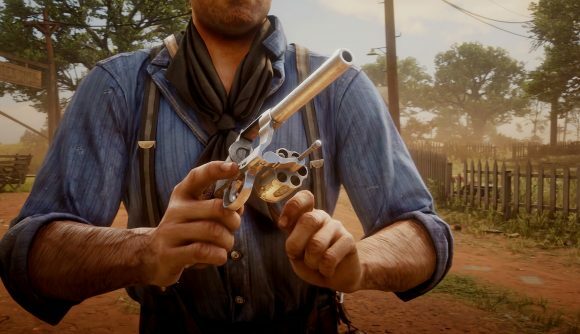 And with this catalogue ad for the revolver – posted to Reddit by obZenDF – it seems that the developers have found another outlet. It wouldn’t stand out unless you knew about the controversy, but with excessive hours having been its main focus, the reference seems hard to deny. Of course, Rockstar is known for its irreverent humour, so there’s also a chance this is a deliberate joke sanctioned by the studio. But if that’s the case, it was a pretty risky one.